The Final Week of Christ Considered at the One Project Gathering in Seattle » Unless one attends one of the One project gatherings, simply hearing about it or watching online video gives you only a glimpse, at best. A One project gathering is an experience, and a powerful one at that. For some participants, it offers a mirror to reflect our spiritual image or a thermometer to measure how deeply our faith in Jesus has influenced the words and deeds of our Christian lives. The Seattle, Washington gathering, February 14-16, was the largest so far, displaying an ever-growing momentum. In comments at so-called "Recalibrate" table discussions after each presentation, and in corridor break-conversations, there was an affirmation of a need to recognize Christ and His sacrifice as "this one thing" to experience as Seventh-day Adventists. Writing on his Facebook page, the gathering's host, Paddy McCoy, chaplain at Walla Walla University said, "Great music, powerful and inspiring messages, Jesus lifted on high! My body may be utterly and completely exhausted, but my heart is full." 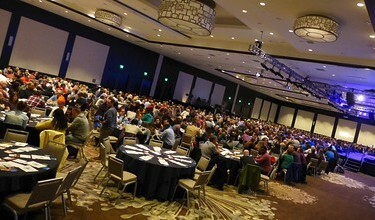 Across the Seattle Westin Hotel Grand Ballroom, the open Bibles bore testimony that the written Word is the blueprint to be discovered or rediscovered again and again. Since its first event in Atlanta, Georgia, in 2011, when some 172 attendees began what today is referred to as "conversations in the community," the One project is continuing to attract scores of new participants yearning to enrich their experience in Jesus within the Seventh-day Adventist community of believers. The Seattle gathering, which was the project's twenty-third worldwide, centered on exploring the meaning of Christ's Final Week -- his trial, crucifixion, and resurrection as recorded in the Gospels. Among the sixteen presenters, William G. Johnsson, a known theologian and author, who served as editor of the Adventist Review and Adventist World, preached on "The Meaning of the Death of Christ." Johnsson's presentation provided a crescendo for the gathering. "The main thing for all of us is that Christ died for our sins," Johnsson stated with conviction. There was no other exclamation mark that was needed, it appeared. It was evidenced in the tears of the participants: they got it! Commenting on the Seattle gatherings, Japhet De Oliveira, senior pastor of the Boulder Church and co-char of the One project said that "spending two days remembering the final week of Jesus simply warms my heart with more love for God. His grace is sufficient." 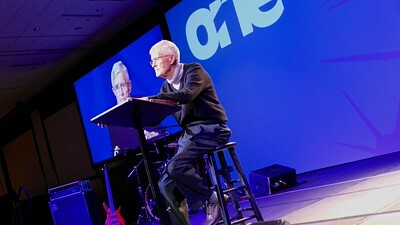 This year, the One project gathering in Seattle added two additional events, The Advance Conference and The Create Conference. Across these three gatherings, some 1,323 participants joined the One project in Seattle, according to the organizers. The Advance Conference brought healthcare professionals and pastors together for a conversation aimed at blending ministry and healthcare in order to make both professions stronger and better able to utilize healthcare as an evangelistic tool. Similarly, The Create Conference provided an opportunity to look at the future of Adventism, and the role of a local church in creatively responding t a challenge to find ways to meet real needs of the community and introducing people to Jesus. As with each gathering, there are questions to consider again and again. There are challenges to take on wherever we live. These have become a diet that cannot satisfy with only one meal. It is in following Jesus, our Savior, that we take steps closer to each other and to our larger communities . . . until the Second Coming. It's that time of year when you are invited to meet with the officers of the Rocky Mountain Conference who travel to all parts of this far-flung mountainous, wind-swept, flat and otherwise varied region to visit, talk and share up-to-date information about your conference. These annual town hall meetings were designed to give our constituency the opportunity to dialogue with the officers, ask questions, exchange information and share reports. "We always count it a privilege to go out and visit with our members in the various regions of the conference," states Eric Nelson, VP for administration. He, along with President Ed Barnett, and VP for finance George Crumley, will be traveling to meet with you over an 11-day period beginning March 29 and continuing through April 9. April 2 – 6–7 p.m.
April 3 – 6–7 p.m.
April 4 – 6-7 p.m.
April 6 – 6–7 p.m.
April 7 – 6-7 p.m.
Christian Record Services For the Blind Reduces Staff, Preserves Mission » The Christian Record Services for the Blind (CRSB) Board of Directors voted to implement a reduction in force on Thursday, February 11, following a two-day strategic planning meeting in Lincoln, Nebraska, in January. The Board engaged in an extensive, in-depth analysis of Christian Record's operations and financial resources, which included, among other things, input from CRSB staff, field representatives, camping professionals, and Christian Record clients. CRSB employees were informed of the reduction by Daniel R. Jackson, Board chair (also president of the North Amerian Division); Diane Thurber, CRSB president; and Shelly Kittleson, vice president for finance, in Lincoln. "We deeply regret having to take these measures because of the pain that has been created," said Jackson. "Dedicated individuals have given many years to the ministry. But we had no other option if we were going to preserve a compassionate ministry for the blind." 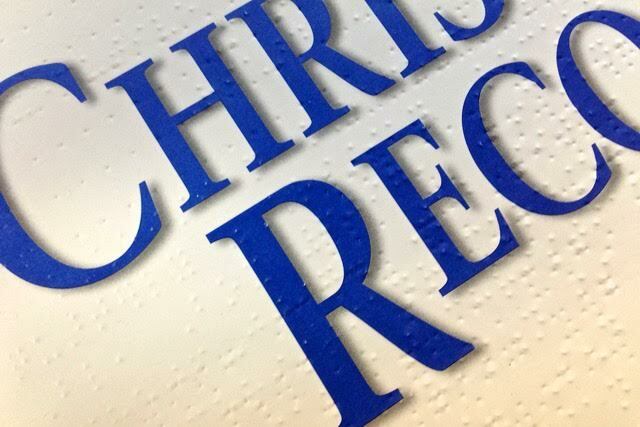 The Board determinded to restruture the organization by eliminating certain positions at Christian Record headquarters, ceasing print production -- except braille materials which will continue -- and ceasing current field operations. "I am so grateful for the opportunity I have had to work alongside these faithful Christian Record employees who have become friends, and I am very saddened to say 'farewell' to some of the most committed, talented workers I've witnessed anywhere in my ministry journey with the Adventist Church," stated Thurber. "These individuals and those who labored before them have laid the foundation on which this ministry can continue to serve the blind until Jesus comes and restores sight to people who are blind." 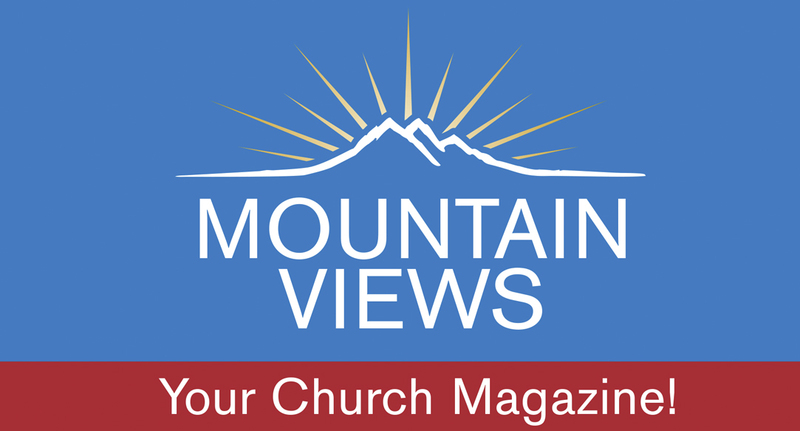 "It is Christian Record's desire to expand its reach in the U.S. and abroad, and we recognize this will not be possible without the Lord's guidance and blessings," said Thurber. "We solicit the prayers of all Christian Record supporters and volunteers, and invite renewed support for this ministry so it can continue to help the blind 'see' Jesus. It is Christian Record's desire to extend this challenge of engagement and inclusion to the local church, so all members can benefit from the joy of service, friendship, and fellowship with the blind." "Christian Record Services for the Blind has been and will continue to provide valuable spiritual materials and services for the visually impaired, by God's grace," said Ted N. C. Wilson, president of the General Conference of Seventh-day Adventists. "We pray that new and efficient methods of outreach will increase the special ministries for the sight-impaired as we approach Christ's soon cooming when we will all see Jesus!" Mile High Academy » The 8th grade class of MHA is collecting gently-used goods, such as clothing, linens, small household objects, etc. ARC is paying the students per grocery store bag. This money will go towards their trip to Washington, D.C. and 8th grade graduation. Deliver your bags to Mrs. Rettler at MHA or to Diane Harris or Kelly Waller at the Rocky Mountain Conference office. NAD Children's Ministries Certification » Attending the Children's Ministries Certification, Track 2, will enhance your understanding of faith development and the life stage, children with special needs, multiple intelligences, positive class discipline and more. 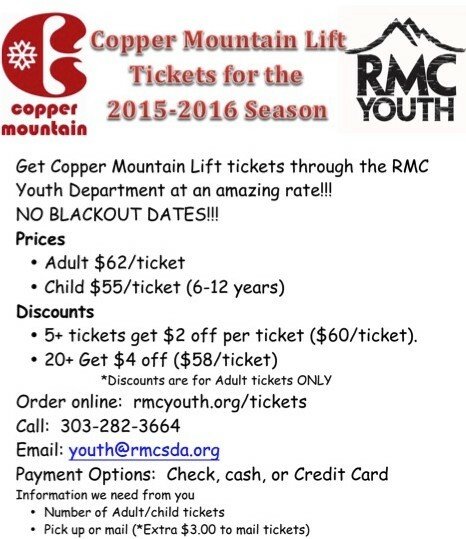 Register online at RMYouth.org/children or call Patty Rivera at 303-910-3548. The seminar will be held March 25-26 at Denver South Church. Your $20 registration fee will provide two meals, supplies and excellent speakers. Register before March 17.